When you think of the machine that is your online business, what do you picture? Do you see something organic? Something mechanical? I think it’s helpful to pick a vision. 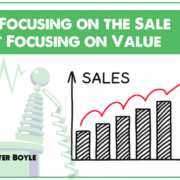 The marketing and sales functions are too complex. The tools and channels are changing faster today than at any time in history. Thanks, internet. Vizualize your marketing machine to make good decisions about where to invest. Visualizing the process helps us focus on the pieces one at a time, instead of being overwhelmed by the mass of moving parts that feed our pipes, funnels and drips. When we work with clients, we tend to talk about knobs. The most powerful metric for an online marketing ecosystem is acquisition cost. The lower your acquisition cost, the higher your profit. The lower your acquisition cost, the cheaper all of your advertising becomes. The lower your acquisition cost, the more places you can afford to advertise. But acquisition cost isn’t a dial you set. It’s the product of several dials. We control acquisition costs using a device called the “Acquisition Cost Spectrophotometer” (ACS). This powerful device has two dials. We plug the ACS into any incoming channel — search engines, email, referrals, social media and so on. Then we begin to play with the knobs. If we increase the traffic costs, but the conversions stay the same, we increase our acquisition cost, and the little red warning light turns on. If we dial down the traffic costs and keep the conversions the same, acquisition costs go down, and the red warning light goes off. So, if we can increase conversions without increasing traffic costs, we get all the benefits of a lower acquisition cost. And for the paid search channel, we can actually lower the traffic costs by raising the conversion rate because Google rewards ads with effective landing pages by placing them higher on the search results pages. 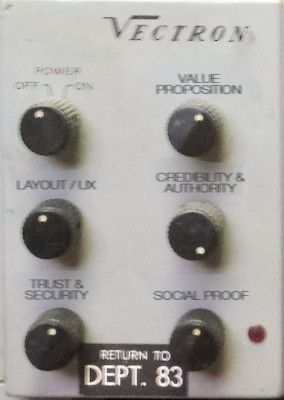 If we put our metaphor down for a moment, we know that each of these “knobs” actually involves an entire process. Our “Traffic Cost” knob is controlled by an advertising and media team focused on getting the highest quality clicks for the fewest dollars. 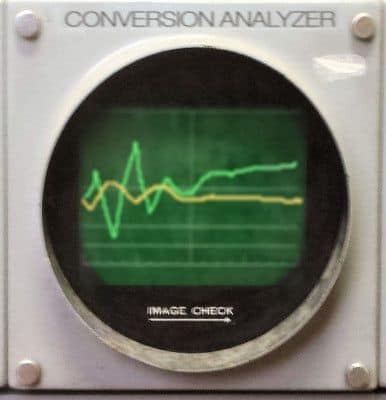 Our “Conversions” knob is a metaphor for a team of data scientists, developers, designers and test techs focused on delivering the right experience to entice action. All the marketer needs to do is determine if they should be investing in traffic or conversions, then fund the teams accordingly. These are the primary knobs you turn when optimizing for conversion. The Vectron Conversion Analyzer doesn’t actually exist, but we can visualize ourselve adjusting the knobs as we optimize our site. When focused on optimizing a website for a given traffic channel, there are a number of knobs we control. I visualize a “Vectron Conversion Analyzer” as a metaphor for our process. This amazing device allows us to control a number of “ingredients” that can lead to more conversions for any given traffic source. If you read this column, you’ll be familiar with most of the knobs on this little gem. The way the design draws a visitor’s eye to the important parts of each page and the cues that move them step-by-step along their exploratory journey. Should important information be moved above the fold? Is there a visual hierarchy that tells the visitor what is important? A site design’s first job is to make the site seem credible. 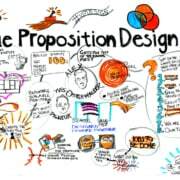 It should communicate that the company and products represent an authority in the solution space that it occupies. The visual cues that tell a visitor that the site will treat any information exchanged with care and veracity. What do others like me think about this company, site and products? 1. What is lacking from the site that visitors expect. 2. By how much each change increases the site’s performance. AB Testing gives you the feedback on your conversion optimization work. We rarely have the budgets to invest in every part of our marketing machine. Having a metaphor by which you can visualize the pieces working together offers a powerful way to decide how to invest over time. Using the visualization at the top of this page, you may not have any luck seeding your brand clouds with advertising until you’ve built brand awareness. 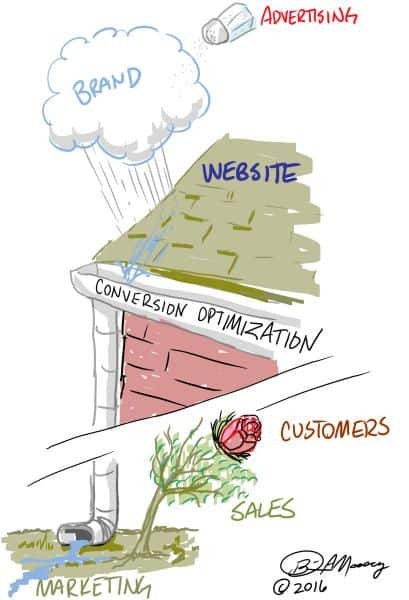 When it rains, you should invest in the downspouts that drive leads into the soil of marketing. If your sales close ratios aren’t flowering, you may need to look at the quality delivered by ads and conversion together. Once you have a low acquisition cost, you can again invest in more expensive advertising channels to seed your brand’s rain clouds and bring the rain. 7 Conversion Copywriting Hacks You’ll Wish You Knew About Sooner Do Online Reviews Really Matter?